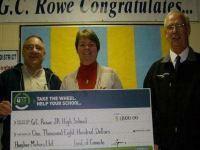 Humber Motors raised $2000 for GC Rowe Junior High School with a DriveONE for your School Event! 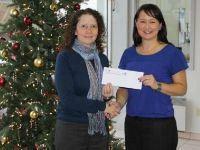 Humber Motors donated $500 to the Sir Thomas Roddick Hospital Foundation. 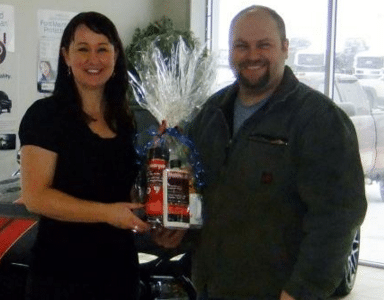 Brian Dyke won our November/December Corner Brook Winter Tire Promotion! 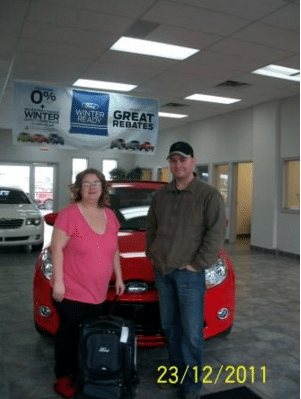 Melissa Young of Humber Motors Ford. 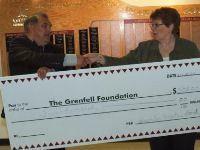 Congratulations to Wanda Northcott-Stone of Port Aux Basque on winning the June 2012 Facebook Draw! 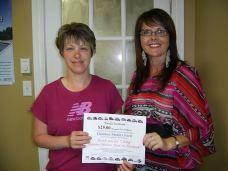 Wanda won a $25.00 gift certificate for Humber Motors, by just “Liking” our Facebook page. 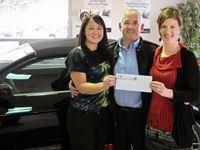 From left to right: Wanda, and Elise Coleman of Humber Motors Port Aux Basque! Winning K-Rock & Humber Motors Ford's latest concert fly away at Mile One Stadium featuring Tom Petty!! 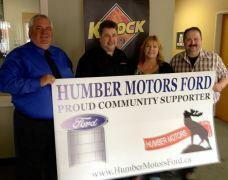 Right to Left - K-Rock Steve Pollett, Rhonda Burridge & Melissa Young of Humber Motors Ford. 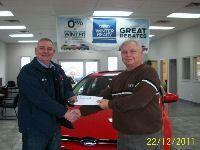 Congratulations to Tony Cadigan on Winning K-Rock & Humber Motors Ford's latest concert fly away contest! Tony won two tickets to see Roger Waters in Toronto June 23. 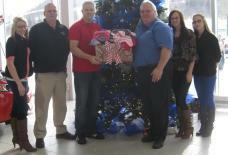 Picture left to right: Steve Pollett of K-Rock, our Winner Tony Cadigan & Meillissa Young of Humber Motors Ford. K-Rock 's Mike Payne (far Right) and Joe Antle (first on the left) of Humber Motors Ford present K-RockStar Flyaway #4 winner: Rod Penny and his wife, Alice who will fly to Boston with spending $, stay in Hotel and See Rush Live! Congrats! Thank you for another successful year WestRock! 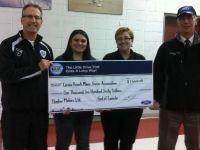 Humber Motors Ford made a donation to the St James Regional High School safe grad committe! 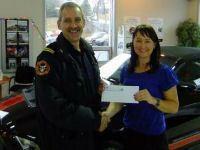 Humber Motors donated $500 to the PAB Hospital. Chad Vokey was the winner of the Stephenville Winter Tire Promotion! 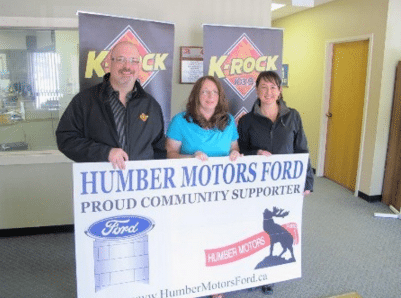 Winning K-Rock & Humber Motors Ford's latest concert fly away contest! Tony won two tickets to see Roger Waters in Toronto June 23. 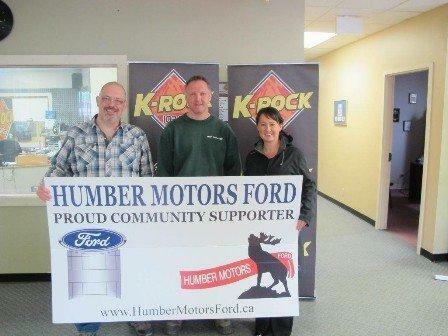 Picture left to right: Steve Pollett of K-Rock, our Winner Tony Cadigan & Meillissa Young of Humber Motors Ford. 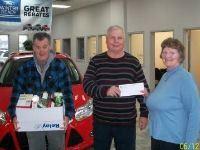 Humber Motors Ford Corner Brook Donated to The Food Bank. 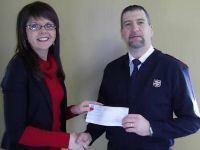 $110 Cheque with $720 in Food Donations!